Turtle Trek Attraction, SeaWorld Orlando | Wharton Smith, Inc.
As general contractor for the Turtle Trek Attraction at SeaWorld Orlando, Wharton-Smith created a 342,000-gallon naturalistic aquarium designed to showcase manatee and sea turtles. 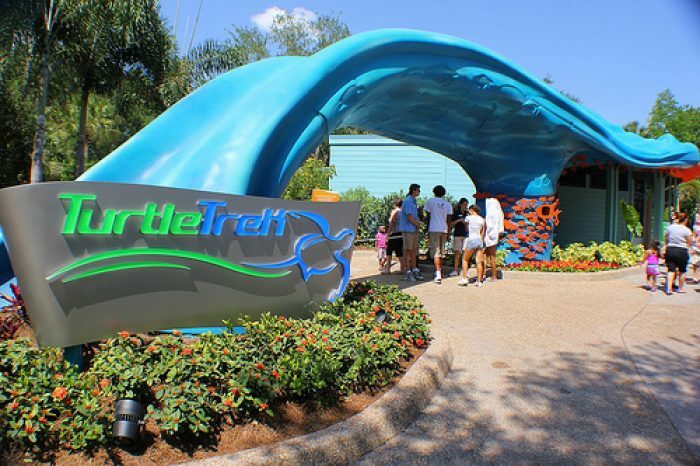 The project included a new salt water show pool, with a coral reef for turtles and salt water fish; life support systems for the salt water turtle exhibit; under and above water viewing areas; and gift shop with high-quality theming and storytelling. Work also included the renovation of the manatee habitat and rockwork, animal holding areas for medical treatment, fabrication and installation of high-quality signage, wave form sculptures, and finishes to promote the SeaWorld story. 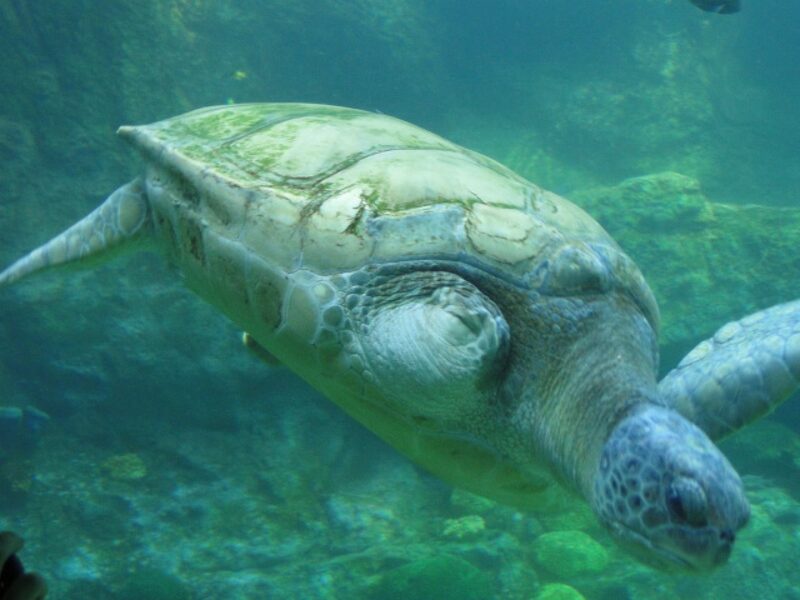 The existing theater was renovated to house a new, vivid, 360-degree 3D show, highlighting the journey of a sea turtle, with capacity for 190 guests. 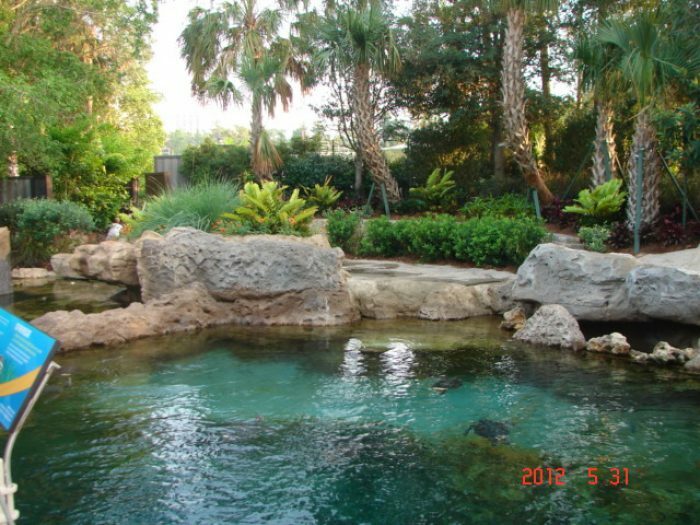 An attraction entry was also added where guests can learn ways to help save manatee and sea turtles. Extensive landscape and hardscape were also provided to enhance the natural beauty of the project.